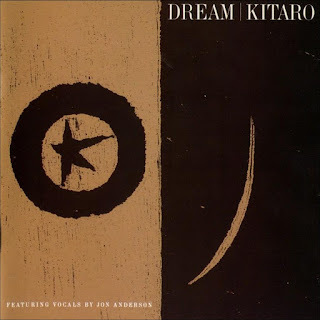 Kitaro’s follow-up to his mega-hit album Kojiki (1990) was a collaboration with Jon Anderson (from Yes, Anderson), who famously also worked closely with Vangelis in a series of albums in the early eighties such as Friends of Mr. Cairo (1981) and Private Collection (1983). 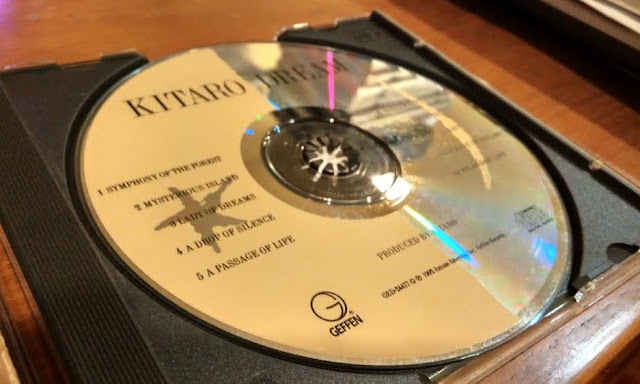 In what is still to be Kitaro’s only album with English vocals (Peace on Earth (1996) and Let Mother Earth Speak (2012) don’t count), Dream is the odd work in his discography that feels more like an outlier than something that you would normally associate with the musician. However, it is an excellent album with hi-fidelity sound. The three outstanding songs ‘Lady of Dreams’, ‘Agreement’ and ‘Island of Life’ combine the otherworldly vocals of Anderson with the synthesized and orchestral sound of 1990s Kitaro. Since Kojiki, Kitaro’s music has evolved into a more symphonic sound with elements of rock. He is, of course, still capable of subtle and gentle moments such as the piano piece ‘A Drop of Silence’. ‘Mysterious Island’ is a strange composition that is ominous at the start but becomes almost heroic later on. ‘Dream of Chant’ and ‘Magical Wave’ are more experimental pieces with the latter echoing the traditional Japanese bonfire chant used at the end of the track ‘Hikari No Mai’ in the 1979 album Full Moon Story. ‘Symphony of the Forest’ – Begins with soft thunder and a lone wolf howl, with lush strings coming into play. The main melody is possibly the most beautiful of the album, and the orchestral arrangement with Kitaro’s synthesized sound is perfect, never overpowering the other. One of three lushly orchestrated instrumental tracks, along with ‘A Passage of Life’ and ‘Symphony of Dreams’. ‘Lady of Dreams’ – A powerhouse rock-infused track with superb use of the electric guitar. The final minute of the song is almost a mournful string arrangement that suggests both the mortality of romance, and the eternality of romanticism. ‘Agreement’ – A punchy song with some use of the Indian sitar as an accompanying instrument. It is rich in rhythm and unusually energetic, feeling almost as if it is a piece that needs to be sung and performed to be liberated.